Provide comfort for the family of Delia Chacon with a meaningful gesture of sympathy. Delia Chacon, 66, of Andrews passed away on Thursday, January 24, 2019 in Odessa. Family and friends will gather to celebrate her life at a memorial service at 10:00 AM Tuesday, January 29, 2019 at La Nueva Jerusalem Church, 2535 NW Mustang Drive, in Andrews with Pastor Isai Garcia officiating. Inurnment of cremains will follow in the Andrews North Cemetery. No visitation or viewing will be held. Cremation and services are under the personal care of McNett Funeral Home. Please celebrate her life by visiting www.mcnettfuneralhome.com. Delia was born on November 11, 1952 in Roswell, New Mexico to Lino Chacon, Sr. and Sue Salgado Chacon. She was raised and attended school in Dexter, New Mexico. 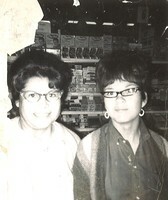 She had lived in Pecos, where she worked for her grandfather on his farm, and then moved to Andrews in 1975. She had worked for Kirby West as Quality Control Manager and retired after 35 years in November 2018. She enjoyed spending time with all of her grandchildren and great grandchildren. She went to all of their sporting events and was there #1 fan. She will always be known as “Mamo” to all of them. She enjoyed listening to music, spending time with friends, and was a dedicated Dallas Cowboy fan. She was a past member of the Moose Lodge and Primera Iglesia Bautista Church in Andrews. She was preceded in death by her grandparents, Filomeno and Eleuteria Chacon and Manuel and Natividad Salgado, father, Lino Chacon, Sr., and 2 sisters, Elva Lara and Lusmilla Gallegos. 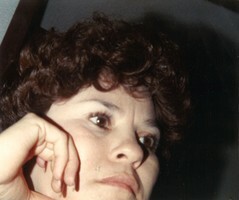 Delia is survived by her 2 children, Cindy Lopez and husband, Adolfo, of Andrews and Christy Hernandez and husband, Savino, of Andrews; mother, Sue Chacon of El Paso; 3 siblings, Elida Cervantes and husband, Rey, of El Paso, Olga Chacon of San Antonio, and Lino Chacon, Jr. and wife, Mary, of Henderson; 6 grandchildren, Marcos Salinas, Timothy Lopez, Jacoby Hernandez, Makaylee Lopez, Aubree Hernandez, and Andrew Lopez; and 6 great grandchildren, Jaylynn Salinas, Vae Alaniz, Braeson Salinas, Kylon Acosta, and Noah D’Angelo. 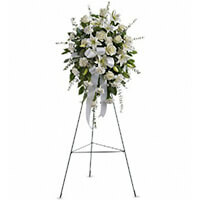 Memorials may be sent to the American Cancer Society at www.cancer.org. To send flowers in memory of Delia Chacon, please visit our Heartfelt Sympathies Store. The family will be having a meal following the service at La Nueva Jerusalem Church. We encourage you to share your most beloved memories of Delia Chacon here, so that the family and other loved ones can always see it. You can upload cherished photographs, or share your favorite stories, and can even comment on those shared by others. Vertex Family and WRIGHT & STEPHENS FAMILY have sent flowers to the family of Delia Chacon. Our deepest condolences. God bless. Vertex Family purchased the Sentiments of Serenity Spray for the family of Delia Chacon. WRIGHT & STEPHENS FAMILY purchased the Sweet Tranquility Basket for the family of Delia Chacon. My condolences to the Chacon family during this difficult time. In the Bible, Jehovah God gives us hope. Acts 24:15 says, “there is going to be a resurrection of both the righteous and the unrighteous.” Revelation 21:4 says, “and he will wipe out every tear from their eyes and death will be no more.” Very soon we will see the fulfillment of these promises here on Earth.